By 12pm on a certain Sunday, 132 indigent Nigerians were already seated inside the mini hall of the Institute of Town Planners, Alausa, Ikeja. They were anxiously waiting for the commencement of the disbursement ceremony, an annual programme organised by the NASFAT Agency for Zakat and Sadaqat (NAZAS), a humanitarian organisation committed to touching the lives of the needy. These were men and women who have seen the ugly side of life and were yearning for a way out of the woods. Some of them were single mothers abandoned by their husbands to cater to the needs of their children. Among them was Sekinat Lawal, a mother of three children. Some also were either young, single or married men whose jobs and businesses had failed and they were looking for a way to rise again. Equally among them were indigent students having hard times in meeting with the financial demands of their education. So having been told about the NAZAS’ benevolence acts to people of their sort, and having applied and were selected as beneficiaries, they came to the disbursement ceremony with high hopes. They could see different cartons of business tools in one corner of the hall staring at them. These included brand new grinding machines, binding machines, printers, photocopiers, refrigerators, power generating sets, among others. Having waited patiently, the programme finally started but with the organisation’s annual general meeting which takes place before the disbursement. With the AGM done, presentation of items began in full swing. In line with their needs, each of these 132 beneficiaries was presented with one brand new business tool and a cheque of N25, 000 to support themselves. A student among them who was placed on scholarship received a cheque of N50, 000 to take care of her academic responsibilities. A total of N13 million were given to the 132 beneficiaries. NASFAT Agency for Zakat and Sadaqat (NAZAS) is a non-governmental, not-for-profit humanitarian organisation established within the Islamic family with the sole aim of taking care of the needy and less-privileged in the society. This is realised through the contributions of good spirited individuals who have decided to donate some part of their yearly earnings in form of Zakat. The agency was incorporated in 1990 under the Companies and Allied Matters Act and commenced operations in 2014. Headquartered in Lagos, the organisation is saddled with the responsibility of improving the awareness of Muslims about their obligation of paying Zakat, the third pillar of Islam. Beyond creating awareness, NAZAS is equally responsible for the actual collection and distribution of Zakat and Sadaqat, Waqf (endowment), among others. The organisation also provides educational and welfare support programmes as well as relief for the Internally-Displaced Persons (IDPs). It helps indigent people surmount their economic challenges through the provision of business supports. Committed to touching lives, the agency swung into action immediately through empowerment and scholarship programmes. With the latest 132 beneficiaries, NAZAS has impacted over 500 persons ranging from students on educational scholarship support, which cuts across primary, secondary, tertiary, visually impaired, law school and prison inmates. It also embarked on empowerment and business support for persons/SMEs, debts bail-out for debtors; offered medical support persons having health issues. It has also provided accommodations to a number of persons and supported many small businesses to enable them grow and become independent. Notably, the agency’s benevolent act is not limited to individuals alone as it had reached out to the vulnerable within the society. In March 2016, it dispatched the first batch of relief materials to the Internally Displaced Persons camps in Borno, Yobe and Gombe States. This was jointly executed by NAZAS and MPAC (Muslim Public Affairs Centre). Also, through its public health initiative, the agency is collaborating with Islamic Medical Association of Nigeria (IMAN) to provide free medical services to the downtrodden in underserved location. Both Muslims and non-Muslims have benefitted from the life-changing programmes. Upon receiving the items, the latest 132 beneficiaries could not hide their joy. As they received their cheques and their brand new business tools, they were all smiles as their hopes were restored. 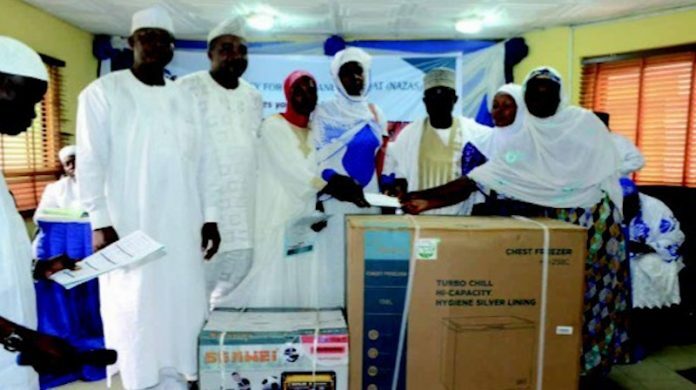 One of them was Alhaja Safiat Sakiru, who received a brand new grinding machine and a cheque of N25, 000 to support her business. Sakiru used to run a restaurant but could not continue when her business shut down due to lack of financial support. She applied for a business support to enable her start up foodstuff business and was luckily chosen. With this unexpected intervention by this humanitarian organisation, her life would certainly change for the better. Another beneficiary, Sekinat Lawal, a struggling single mother of three, also got a grinding machine and a business support of N25, 000. She sells pepper but lacked the needed tool and fund to scale up her business. With this benevolence, she is thinking of joining the organisation. For Miss Akiniyi Latifat Omotayo, a student of Chemistry at the Federal University of Agriculture Abeokuta (ABUAD), who got a cheque of N50, 000 as education support, the kind gesture swept her off her feet. “I feel so excited because I have been expecting this kind of support for a very long time. So I feel really great and grateful today. Being in school has been hard, though my parents are the ones sponsoring me but it has not been easy for me and them; they don’t have much to support me,” Omotayo said. Throwing more light on the empowerment exercise, Chairman of NAZAS and Managing Director of Accenture, Mr. Niyi Yusuf, said empowering the needy and the poor through the disbursement ceremony was one of the demands of the Quoran. 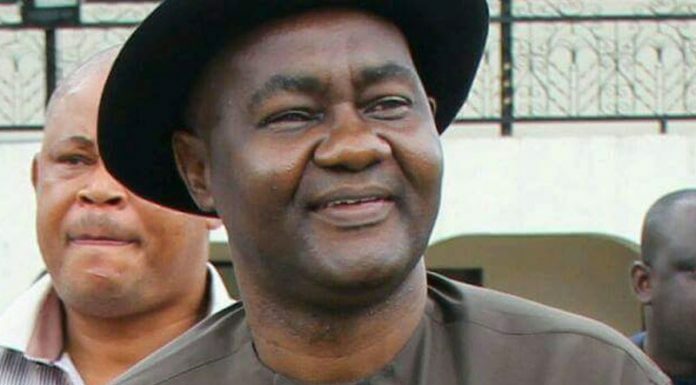 He explained that, of the N13 million doled out in the exercise, N10.5 million was given to those in the trade and empowerment category, pointing out that that area was more beneficial to the society and needed more investment. He said: “So today, we have distributed N13 million in various categories: debt settlement, health, education scholarship, and also trade and empowerment. Of the N13 million, about N10.5 million is for those in the trade and empowerment category, which for me is significant because it means we are empowering people to be productive; to generate wealth for themselves and also to improve their self-esteem and dignity.